Interview: 160319 WINNER Discusses Creating Borderless Music Style + Activities During Hiatus in Nylon Korea! WINNER, who returned the night prior to the day of this photoshoot and interview after filming for the long running, 19 year old Chinese variety show, “Happy Camp”, talked about how they were so dazed during the variety show filming that they were laughing. We asked WINNER, who released their new album “EXIT:E” after 1 year and 5 months, to express their musical color with hashtags. “EXIT” is an year-long project that WINNER prepared with all their heart and soul. Because their first album with 5 songs has been released, their current goal is for the rest of the three albums to be released without any hiccups. When asked about Korean variety shows they wish to appear on, some of the members meaningfully smiled. Their careful smiles alluded to the articles about their upcoming variety show, “Half-moon Friends”, that were released after this interview took place. (This interview took place around a week before articles about “Half-moon Friends” were released.) They talked about how their upcoming three albums of their year-long project contains secretive and fresh things. How did you spend your time during the hiatus, after your first album release? Seungyoon: We spent the time trying to make good songs. I personally thought a lot about how we were going to perform onstage. Taehyun: We were often asked, “Aren’t you anxious because your hiatus was so long?” but I actually resolved my anxiety by working on music. I spent the time thinking about working on music as an escape rather than getting worn out by burden. I tried to widen my range in the arts but watching and listening to many different things. Jinwoo: It was mentally more difficult to find things to do during the hiatus compared to dealing with busy schedules when we promoted. I personally spent the time focusing on developing the skill to overcome that struggle. Mino: As you may already know, I spent most of my time appearing on “Show Me The Money 4”. After that, we had Japanese promotions and I worked on solo music as well as WINNER’s album. I think I spent a busy time. Hoon: I followed the expression, “one heart, one purpose” (uniting all minds for one purpose) and watched “Show Me The Money 4” and supported Mino. Just like Mino said, it goes without saying that we worked on making music but we had a lot of schedules in Japan so we studied Japanese. I heard that you had a good time making one of the double title tracks, “Sentimental”, because you were drinking beer and having fun. Taehyun: We only included songs that we made comfortably and smoothly on this album. “Baby Baby” is a bit different, not because I had a hard time making it, but because I made it during a hard time, I have a special affection for it. Jinwoo: There is a song that I sang that made me immerse into the emotion really easily but it wasn’t included in this album. Haha. We’ll have to see if we end up letting people listen to it. Whenever you talked while making this album, was there a topic or subject you talked most about? Mino and Seunghoon, when you write your rap lyrics, do you usually write based on experiences or imagination? Hoon: Truthfully, I easily forget my experiences. For example, even when I date someone, I fall into the emotions of that moment and forget the things I love. That’s why I get inspirations from things I see or listen to like books or writings I’ve recently read, drawings or commercials I’ve recently seen. I think I add my thoughts unto those inspirations. Mino: In our first album, there were many things I wrote through imagination but this time, I used experiences. Take “Sentimental” for example, in that song there are lyrics that go, “I only stare at the ceiling”. When I was working on this album, I worked on music every night but as my work kept not getting resolved, I became deeply sentimental. And I just kept staring at the ceiling so I think that situation was expressed well in the song. How do the vocalists (Jinwoo, Seungyoon, Taehyun) feel about each other’s voices? Taehyun: I usually sing in a soft voice but I used to be envious of Seungyoon-hyung’s strong voice because it has the charm that I can’t have. These days, I sometimes practice a technique where I sing differently. I think I’ll be able to show people a new side of my singing in our next album. Seungyoon: I really like Jinwoo-hyung’s singing tone. And I think Taehyun’s soft way of singing, which he is very aware of, is charming. I think we stimulate each other. Even though we may be envious of each other’s voices, we try to find aspects of our own voices that we like too. The videos of other YG artists covering “Sentimental” received much attention. If you get the chance, which artists’ songs do you want to cover or which artists do you want to collaborate with? Seungyoon: First of all, I think (Yoo) Byungjae-hyung’s cover video was the most impacting. 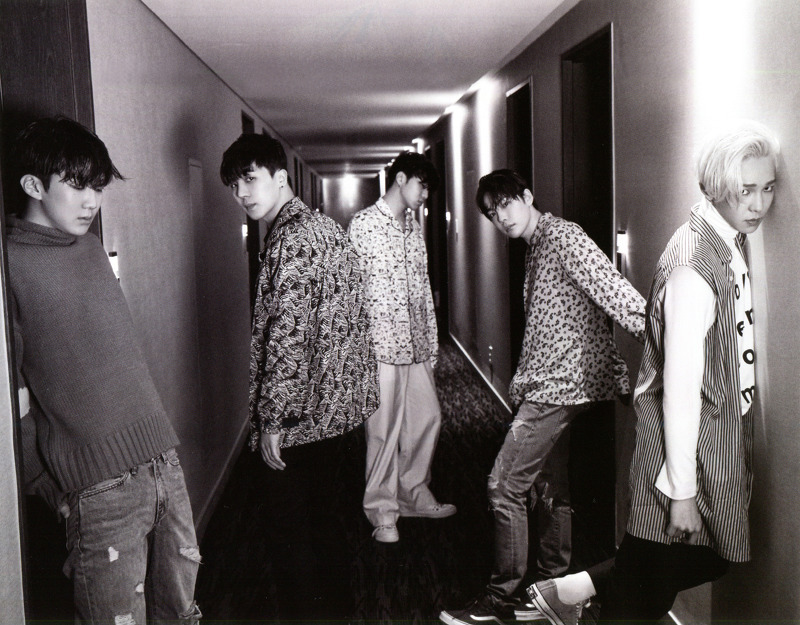 Epik High hyungs’ version was the most addicting. About collaborations, there are many next generation artists, so I have many artists I want to work with like Hyukoh Band, Zion.T, Crush, and Dean. Hoon: I want to collaborate with Director Teddy (He’s calling him director because Teddy is a member of the board of directors). I want to work with him because he’s the representative producer of YG and he’s written so many hit songs. Taehyun: I really like to sing songs by different artists when I go to noraebangs (karaokes). I want to remake a song by Kim Kwangsuk-sunbaenim or other senior singers. And if I receive the opportunity, I want to personally scout a musician who is popular at Hongdae and form a band. I’m in the middle of researching music that reflects my color. Mino: I want to collaborate with Code Kunst, who is under HIGHGRND. Is there something you’re obsessed with despite your busy schedules? Seungyoon: I think all of us are into Instagram lately? I’m a bit of a realist but these days, my throat gets swollen even if I get only slightly stressed so I haven’t been physically active. I’m focusing a lot on recovering before our concert. Jinwoo: Seunghoon talked about this with exaggeration on radio shows but I watched the movie “Veteran” many times in the bathroom because I have nothing to do there. I’m obsessed with the drama “Signal” these days and I’m sad that it’s ending soon. 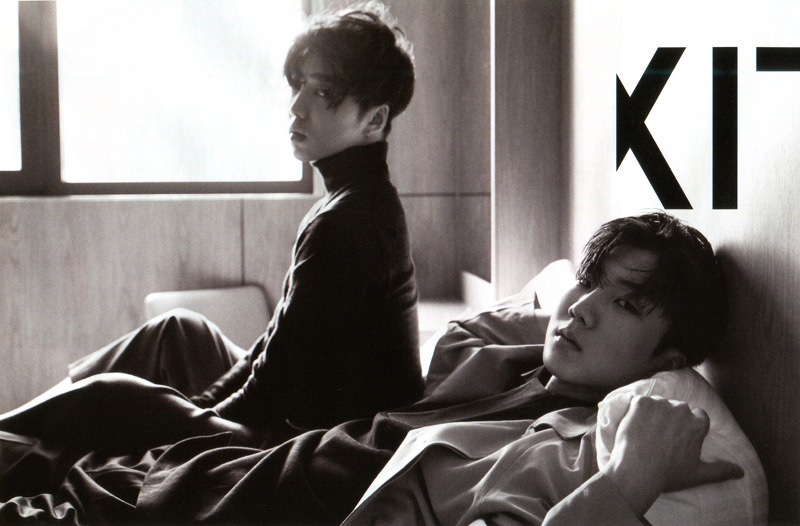 Taehyun: Jinwoo-hyung is the type of person to fall very deeply into whatever he falls for. This type of people always succeeds. But hyung always gets obsessed with snacks instead of good things. Haha. 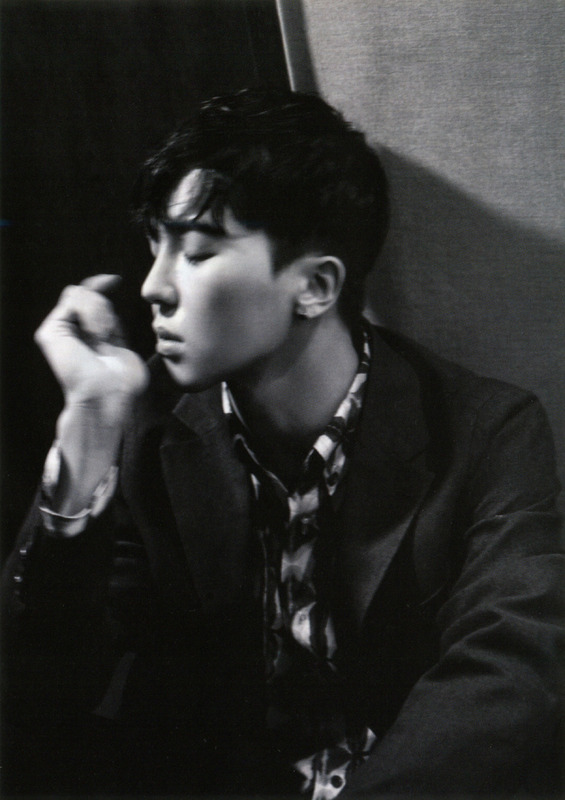 Mino: I have always read poetry and I didn’t read novels often. In some ways, novels were lullabies to me. But I came to read, “The 100-year-old Man Who Climbed Out the Window and Disappeared” and it was so good. I felt like I came to the huge realization where I found a different and big world of books so it was really refreshing. Taehyun: The other day, I was at Dongmyo because of a shoot and I found an old audio store on the in a secluded alley. I bought a turntable there that I took a liking to and I also bought an amp, and other components to connect things and even fixed it up. I realized that I spent more money on those things than the turntable. Anyway, I’m naturally collecting many LPs and I’m obsessed with Bob Marley’s music these days. I’m thinking about going to Haha-sunbaenim’s restaurant to talk about reggae while eating barbecue later on. Hoon: I’m a passionate viewer of “Boni Hani” so that we can gather fans of all age groups. ~Pick me, pick me, pick me up~ I am watching “Produce 101” every week because I am part of the entertainment industry and because issues of these kinds of audition programs are the center of attention. What variety show would you want to go as 5 members? Mino: I think “Running Man” sounds good. Hoon: Let’s stop talking about “Running Man”. They’re not even going to invite us. Honestly, we really want to go on that show so we talked about it in 5 to 6 different occasions. Now I’m embarrassed to even mention it. Haha. Mino: I like “Take Care of my Refrigerator” too. Seungyoon: These days, among the five of us, we talk about wanting to be a part of a program like “Youth Over Flowers”. I think it will be especially fun if we went to a country that doesn’t use English. We’ll use our hands and feet to communicate with the local people there. Taehyun: Seunghoon-hyung probably has the strongest viability out of us. This hyung will probably survive even if you put him on a deserted island. Are you preparing a surprise event for your concert tour that starts on the 12th? Seungyoon: Us dancing a sharp choreography that no one has seen before? Taehyun: Honestly speaking, even if we say it’s “sharp”, it won’t be that sharp. Haha. But we’re still practicing the choreography every single day without fail. Jinwoo: Naturally, we will perform our own songs as well. You asked about covers earlier, we’re preparing stages where we sing other singers’ songs. Mino: We have rearranged our usual stage format. We tried our best to make things as detailed as possible along with high quality but these things are in the same context as our “sharp choreography”, right? Haha. I heard that the “EXIT MOVEMENT” is an year-long project. You have plans for things other than this album and your concert, right? Jinwoo: We have plans for a tour but because this “E” album is the first out of “EXIT”, my biggest wish is for the rest of the albums (X, I, T) to be released without any postponements and within this year. Seungyoon: Each of us will work hard in our respective roles so that WINNER can shine more. If I were to be greedy, I would want to put one of my solo songs in one of the upcoming albums or prepare for the foundations of a solo album. Taehyun: Every time I make songs, I become conflicted. I think about whether I should make a song that I will like or whether I should make a song that other people will like. This year I want to work on clearly deciding the value between those two things. Hoon: I want to look for things I may have potential in other than music. For example, flower arranging. One can put a flower in a vase but one can also put a flower on their ear. You do realise that I’m only half-joking, right? I wish all my members are healthy and feel happy often. Mino: I am also working on solo music whenever I have time. I haven’t been able to show my personal capabilities after “Show Me The Money 4” ended. When WINNER is promoting as five, I will obviously pour my everything into WINNER. I am in the middle of loading my gun with bullets so that I can go out when the opportunity arises. Previous Previous post: HQ Scans: WINNER Photocards for EXIT: E Collection! Next Next post: Interview: 160319 Mino & Taehyun Talk Personal Darks & Lights in Elle Korea Magazine!